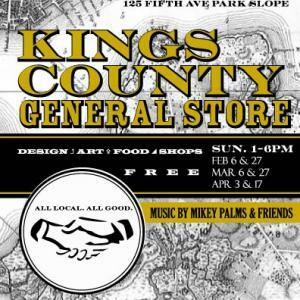 Kings County General Store is a bi-monthly market with local design, art, food, shops, vintage & more. Admission is FREE. Drink specials all day. Music by Mikey Palms & Friends.